As a courtesy, we submit any claims for you to your dental insurance carrier, but filing an insurance claim does not relieve you of your responsibility of payment. NW Endodontics is not responsible for any denial of coverage by your dental plan. If you have dental insurance, then we will assist in the submission of the claim. Our practice is committed to providing the best treatment possible to our patients and our fees are within the range of other endodontic specialists in Calgary. This amount may be different from your insurance company’s benefit schedule and the actual reimbursement to us. Payment in full for the services rendered are required at the time of your visit. When you visit NW Endodontics, we ask that you, please be aware that payment is due at the time service is rendered. For your convenience, we accept Debit, Visa, MasterCard, and Cash. The fees for our services will be based on the treatment required to correct your endodontic issues. 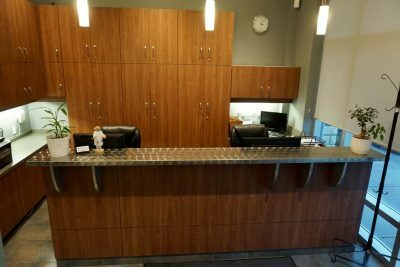 During your first visit, we will discuss the probable number of visits, the length of each visit, and the treatment fees. Please note: We require two business days notice for cancellations or any change of scheduled appointments. Less than two business days notice results in a $100 fee. For those patients without dental insurance, we require payment in full at the time of service. If you have questions regarding your account, please contact us at (403) 239-3828.